and highest quality, ethically sourced Drum Making Supplies. All drums are made in the traditional way, using lacing cut from the same hide to keep the spirit of the animal within the drum, and within prayer and ceremony to honour the spirit of the animal and the tree that gave of themselves to bring this sacred medicine tool into being. Your own drum is a guide, healer, teacher and friend, that guides you on a special journey of inner exploration. Heron Drums sends out regular newsletters with updates and exclusive offers. Make your own Shamanic Drum using our drum making kits. Stunningly made Birch drum hoops for drum making. Available in 14", 16", 18". Heron Drums birth Shamanic Drums to your own specifications, imbued with your prayers and intentions. Bespoke Shamanic Drums, made to you specifications and imbued with your prayers and intentions. Heron Drums hold Shamanic Drum Birthing and Spirit of the Drum workshops around the UK and over the years have shared the art of drum making and joy of shamanic drumming with hundreds of people. See our upcoming workshops below. Shamanic Drumming circles are held all across the UK. To find your local drumming circle, search in your local area using our interactive map. 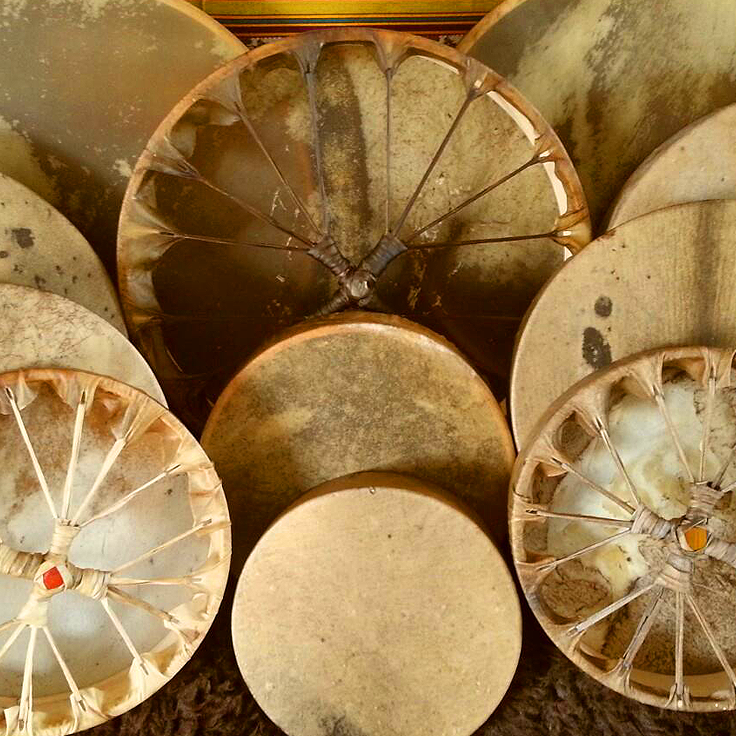 Our shamanic drums are used by followers of the shamanic path for journeying, for music, for healing, for drum circles and for the great feeling of empowerment and connection with spirit that they enable. All of the shamanic drums are birthed in ceremony, honouring the spirit of the animals and trees that they are made from, and all materials for the drums are ethically sourced. Our shamanic drums and medicine tools are made with an intention that they become powerful teachers, guides, healers and friends to those who use them and an important part of their spiritual growth and exploration.